What's on This Web Site? 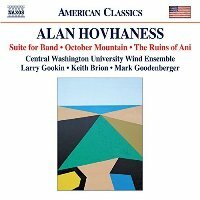 This website comprises the most comprehensive collection of information on Alan Hovhaness anywhere online, and is now in its eighteenth year. It includes a biography, a list of works, news items, photo galleries, classified lists of CDs, discussion of many Hovhaness symphonies and several interviews in which Hovhaness speaks about his composing, life and beliefs. As the internet's most visible and comprehensive information resource for composer Alan Hovhaness, we welcome any news stories, concert details and Hovhaness-related questions from researchers, organisations and music lovers alike. Alan Hovhaness ranks among the most intrepid of musical explorers in 20th century classical music. He was a widely recorded and lauded American composer in the 1950s and 60s, and the recipient of numerous awards. Rather ahead of his time aesthetically, he has, since the 1990s, enjoyed something of a revival on CD and radio, as audiences have 'caught up' with him. Yet there is little scholarly commentary on Hovhaness despite the wealth of radical individuality in some phases of his six decades of creativity. This is somewhat surprising given that during the 1940s and 50s he was firmly entrenched within that maverick group of American composers (others included Henry Cowell, Jonn Cage and Lou Harrison) who spearheaded one of the great shifts in 20th century American music, namely that of looking to non-Western cultures for creative renewal in art music. In addition, Hovhaness spearheaded quasi-aleatoric textural music as early as the 1940s, a technique which became known as 'ad libitum' in the 1960s. The composer's huge output of more than 500-odd works was unusually diverse, prompting lively debate and opinion over the perceived merits of certain musical phases over others. 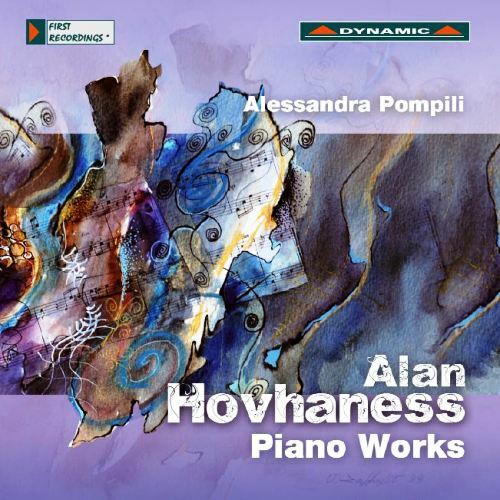 Like other 20th century restless creators, such as Villa Lobos and Henry Cowell to name but two, Hovhaness did not set out to write a polished masterpiece with every work. But as Leonard Bernstein remarked in 1960, “Some of Hovhaness's music is very, very good”. Indeed, Hovhaness’s best works stand shoulder-to-shoulder with those of America’s most lauded composers, and many are more original if lesser known. But Hovhaness was an outsider by temperament and choice, his artistic credo somewhat impermeable to musical fashion and his aesthetic intent often more in sympathy with the Orient than Occident. Investigation of Hovhaness’s best music reveals a unique and thoroughly convincing assimilation of highly disparate traditions coming to the fore and receding over the course of his career, including Renaissance polyphony, South Indian classical music, Japanese Gagaku music and Korean Ah-ak music. Of course, many 20th century composers flirted with such exotica, but in Hovhaness they find perhaps the most seamless alchemy of all because it was more than mere flirtation. It was a musical engagement on an aesthetic as well as technical level. Hovhaness.com is a participant in the Amazon.com and Amazon EU Associates Programme, an affiliate advertising programme designed to provide a means for sites to earn advertising fees by advertising and linking to Amazon.com/Amazon.co.uk/Amazon.de/Amazon.fr. Hovhaness.com receives a small commission on purchases made from Amazon using links on its pages, which help toward offsetting the costs of maintaining the site. 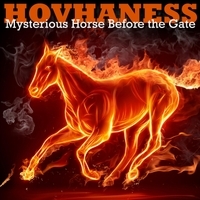 All purchases are processed on the Amazon website, and Hovhaness.com has no record of who uses the links.